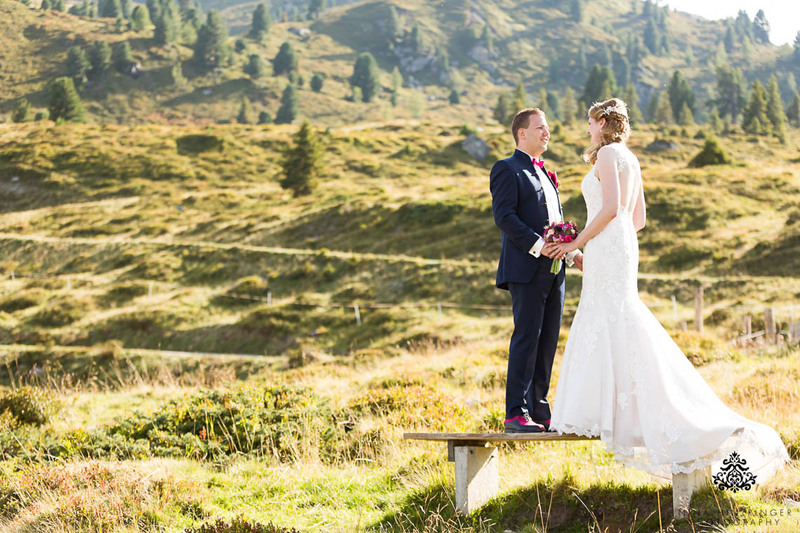 No matter if skiing in winter or hiking in summer, Angelina and Tobias love the mountains and the alps are their second home. 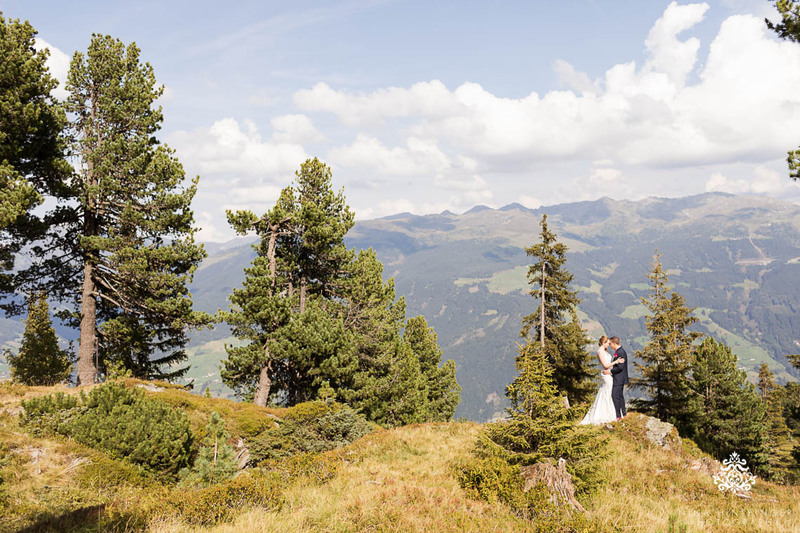 Like Angelina said home is where your heart is and their hearts definitely beat for the mountains here in Tyrol. 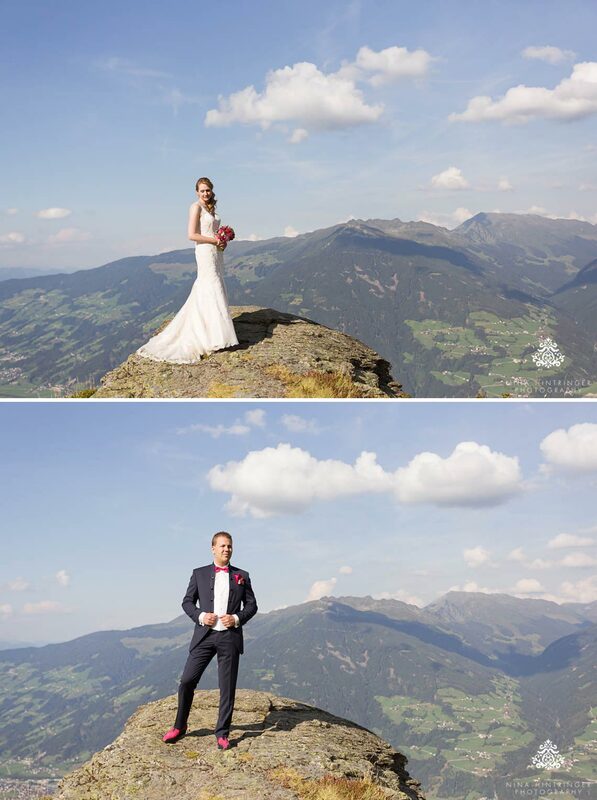 Angelina and Tobias are both from Germany but they love to spend time in Tyrol and visit our area quite often. 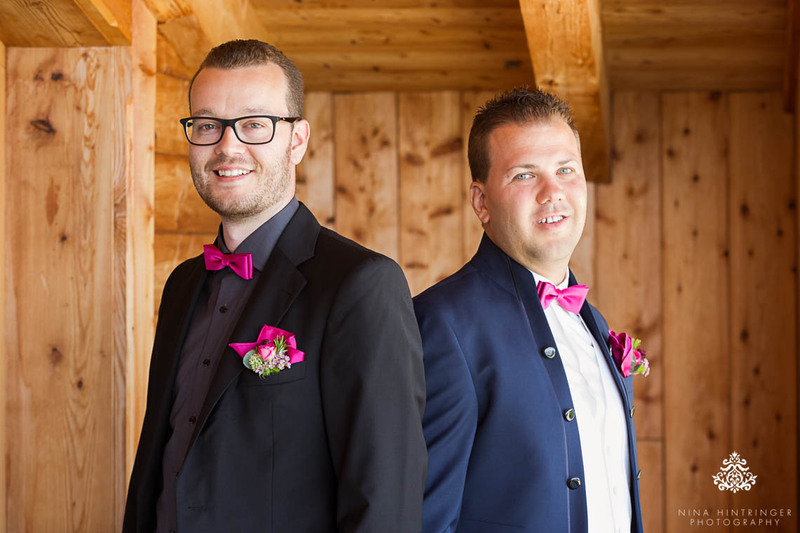 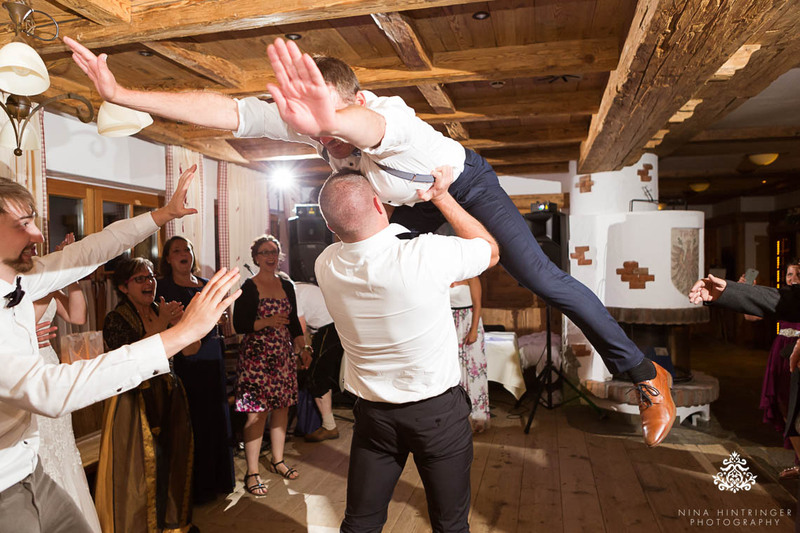 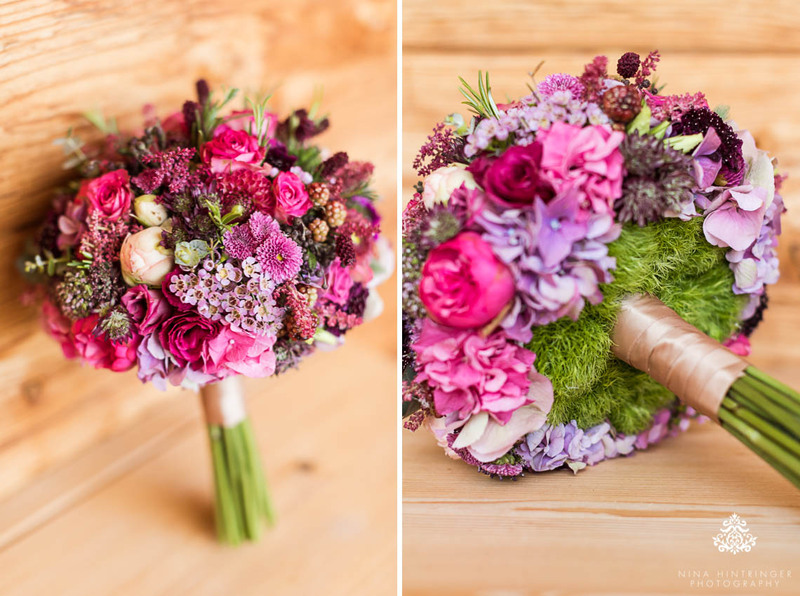 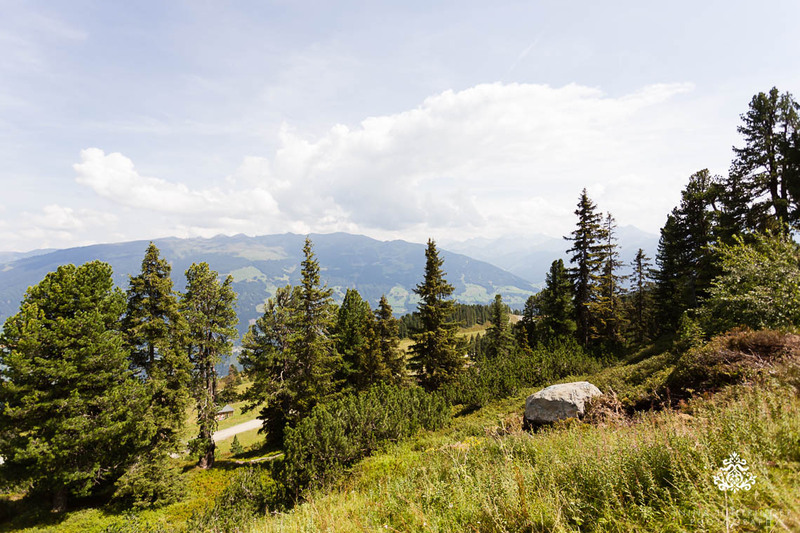 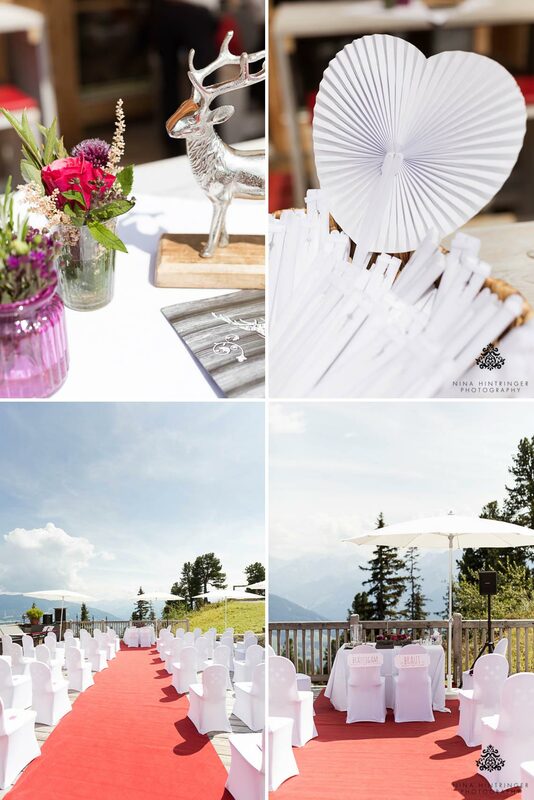 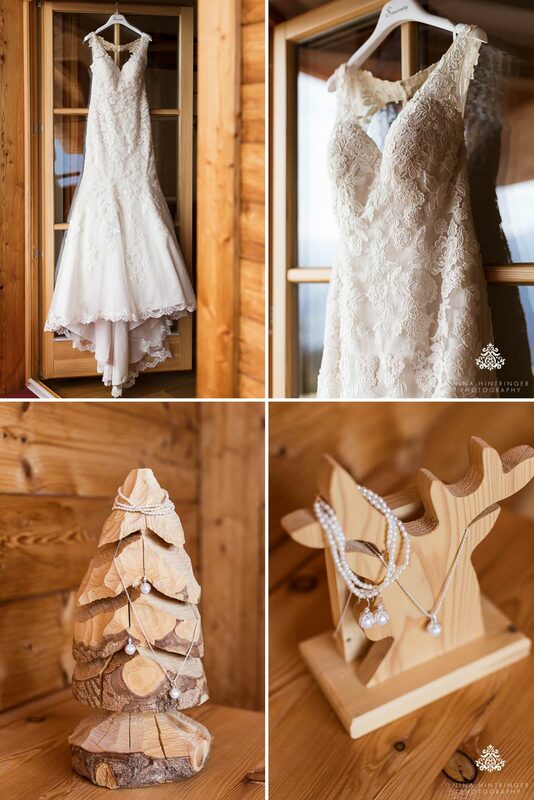 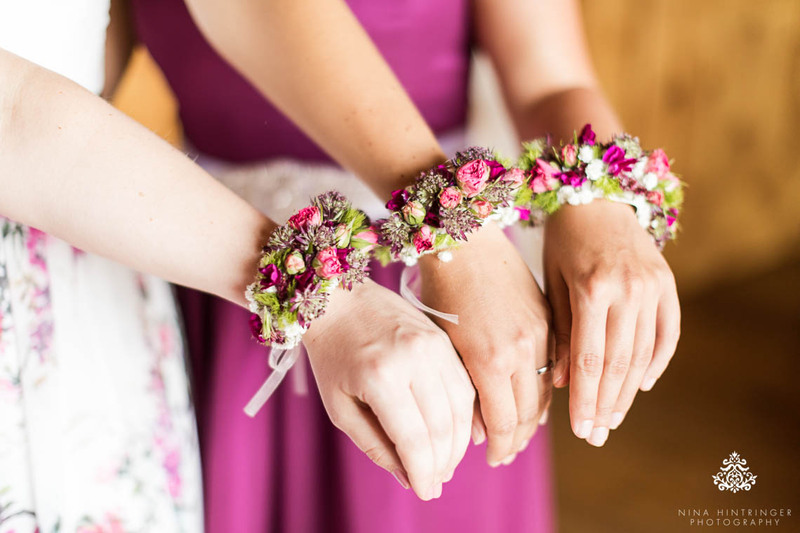 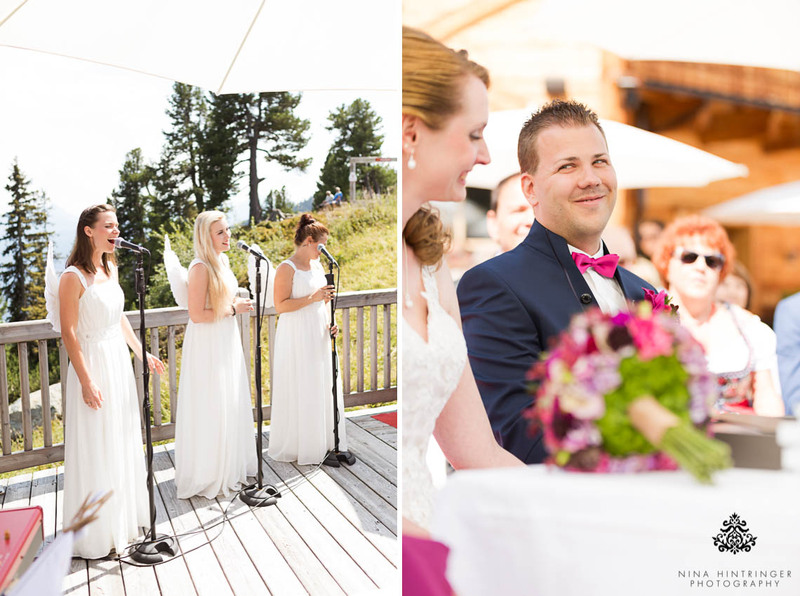 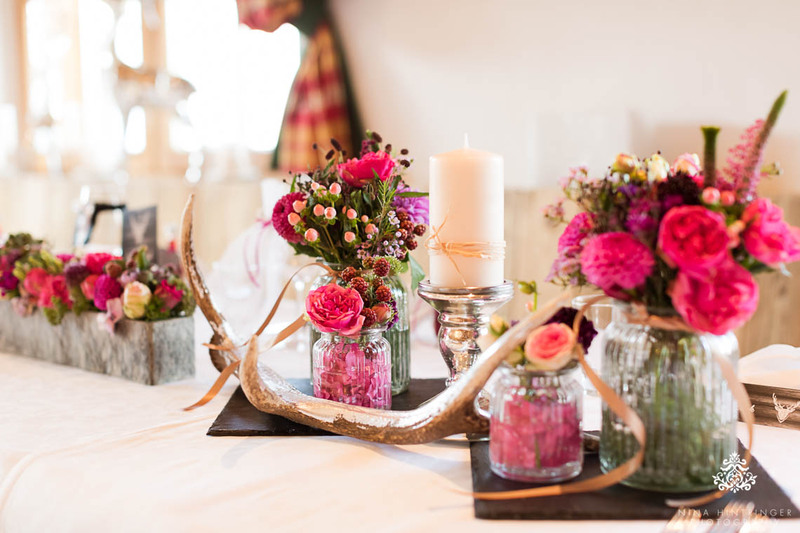 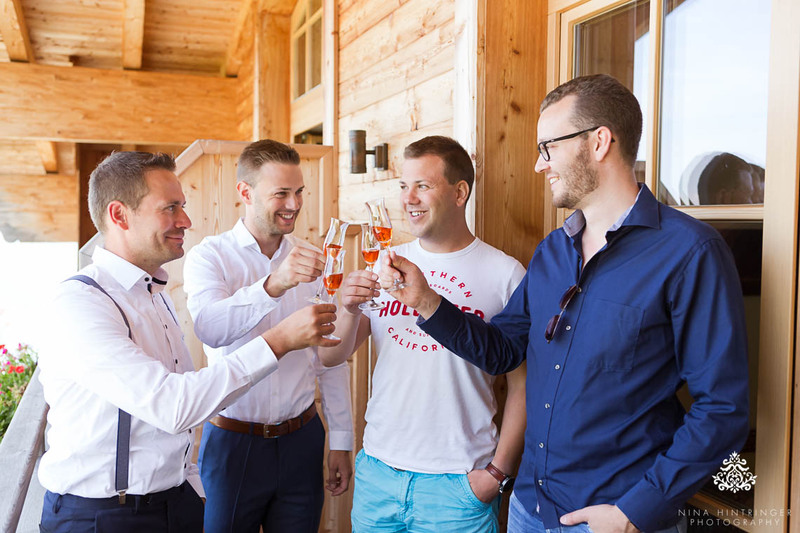 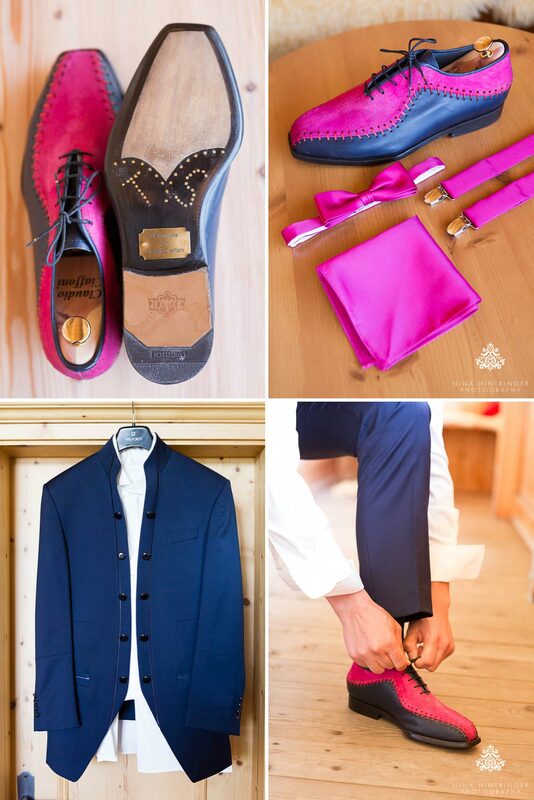 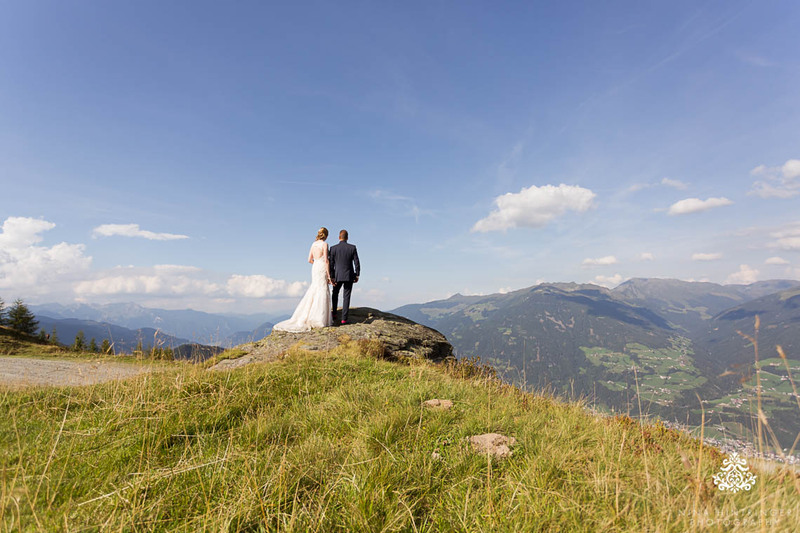 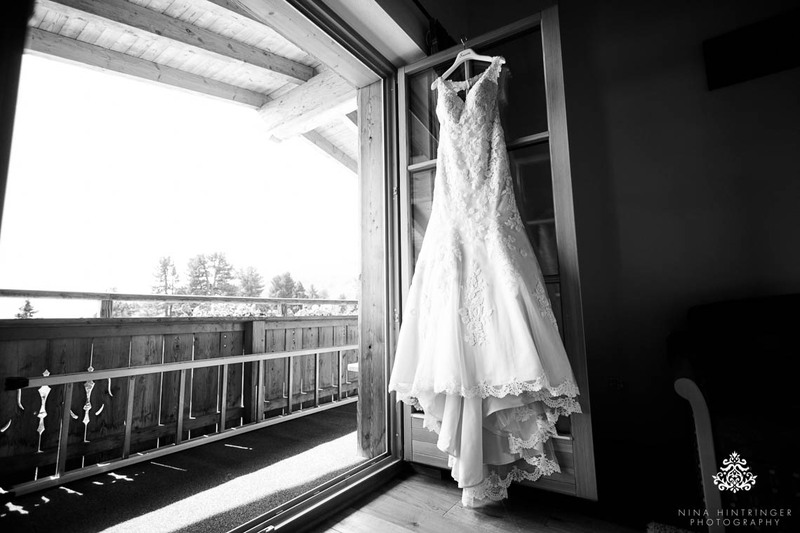 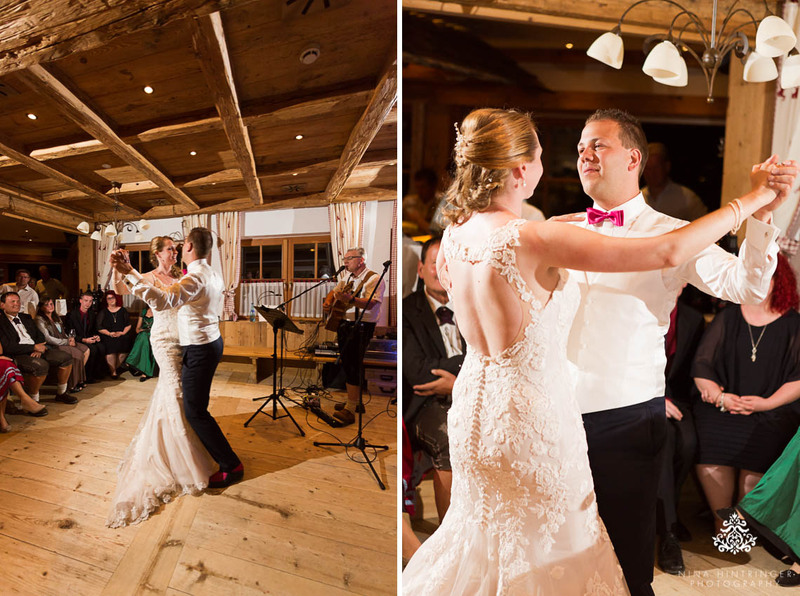 So it was no big surprise for their families and friends that they chose the Platzlalm in Kaltenbach, Zillertal at an elevation of 1,790 meters as their wedding venue. 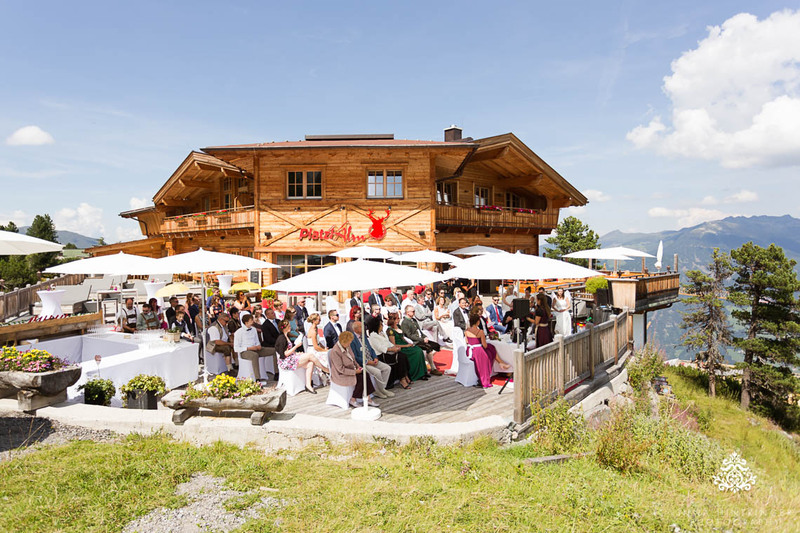 We were really lucky and the weather played along well, so the outdoor ceremony and the cocktail hour could take place outside as planned and everyone enjoyed the panoramic view. 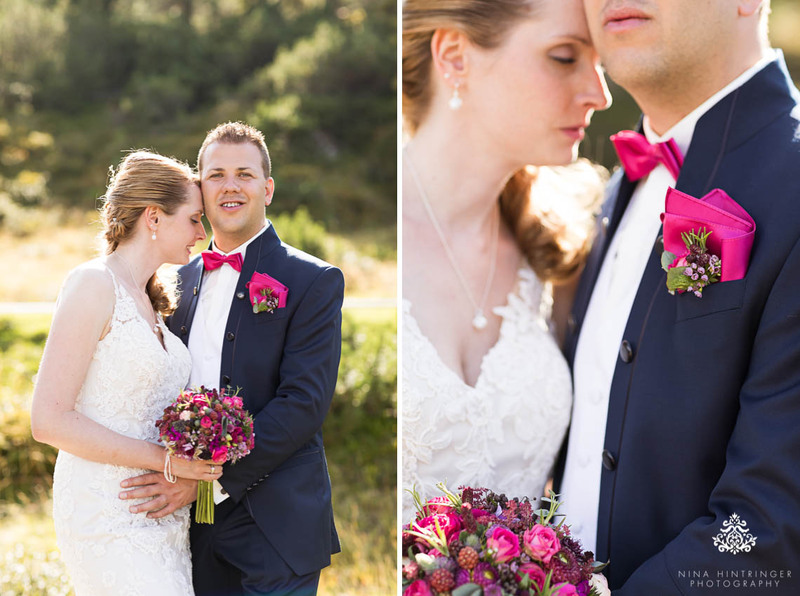 The wedding was berry themed and so you can find lots of gorgeous details in matching colors: bouquet, boutonnieres, guest favors, bow tie, suspenders, bride and groom's shoes, bridesmaids dresses, flower bracelets for the girls, breast pocket handkerchiefs for the guys, flower arrangements during ceremony and in the dinner hall,... by the way, all the beautiful flowers were created by Atelier Rosengarten, Fügen - our favorite floral designer in Tyrol. 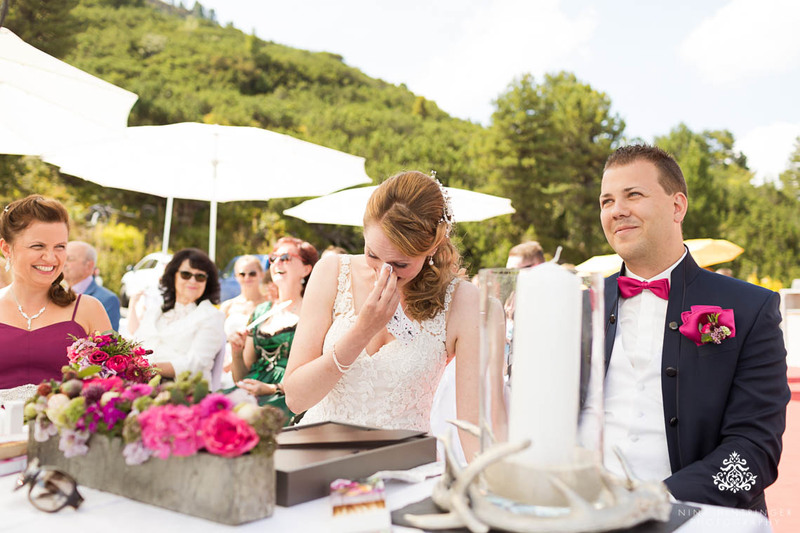 Lots of handkerchiefs were necessary during the ceremony, not just their vows were really touching, they also chose songs with a special meaning. 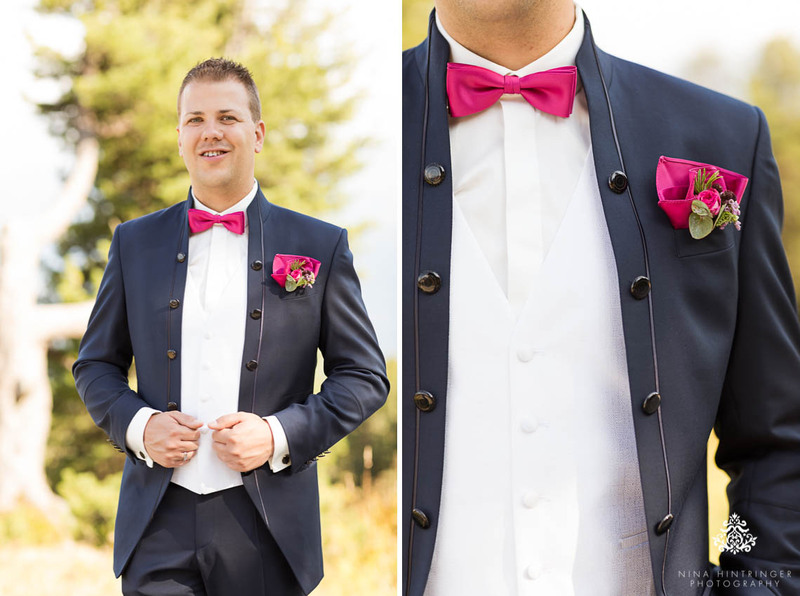 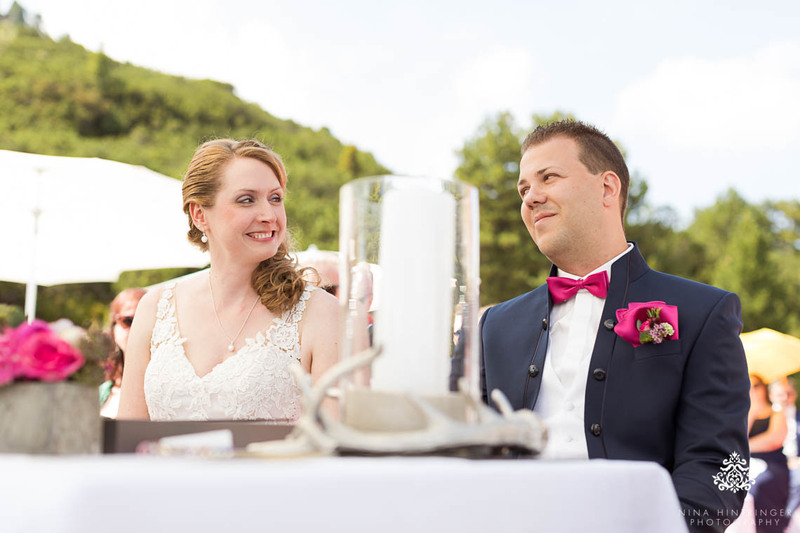 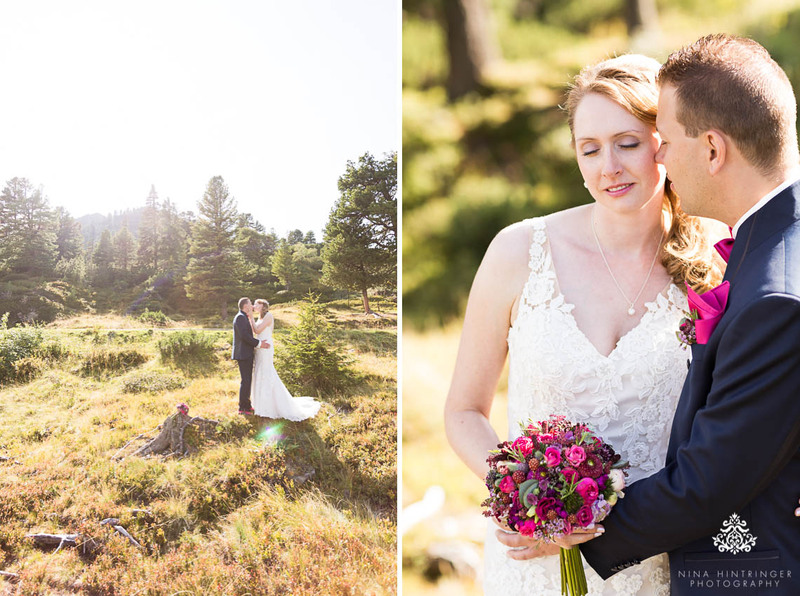 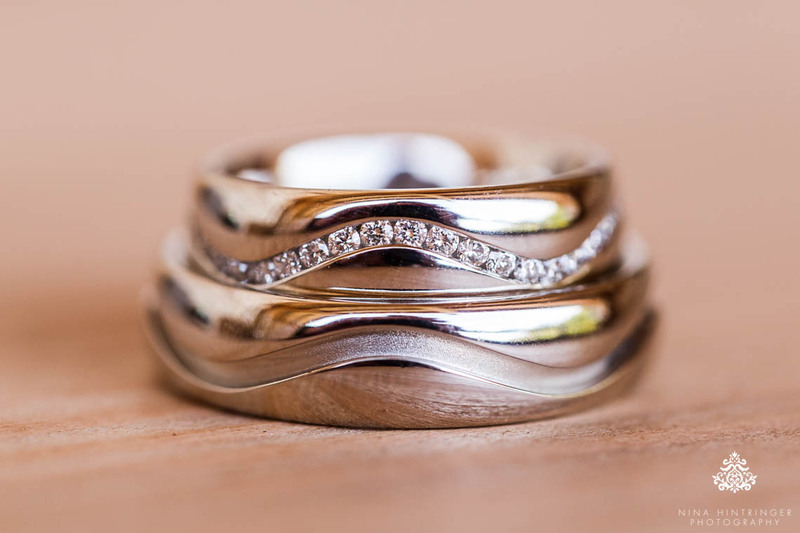 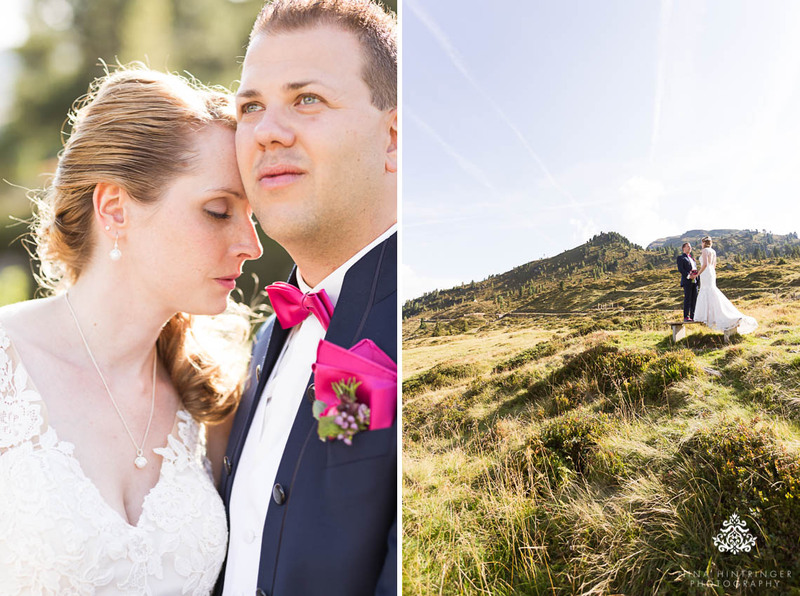 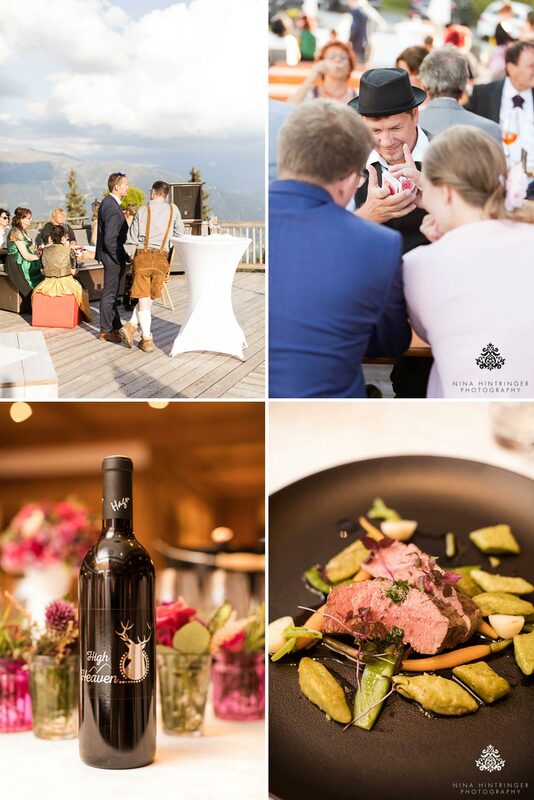 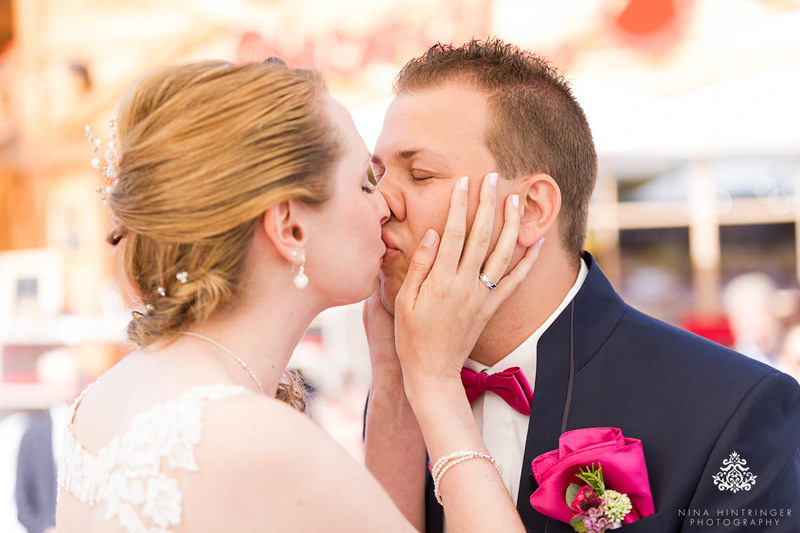 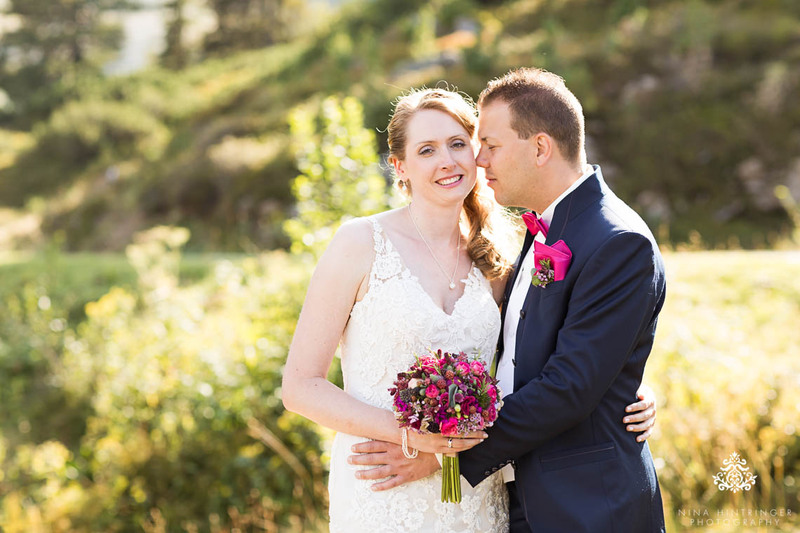 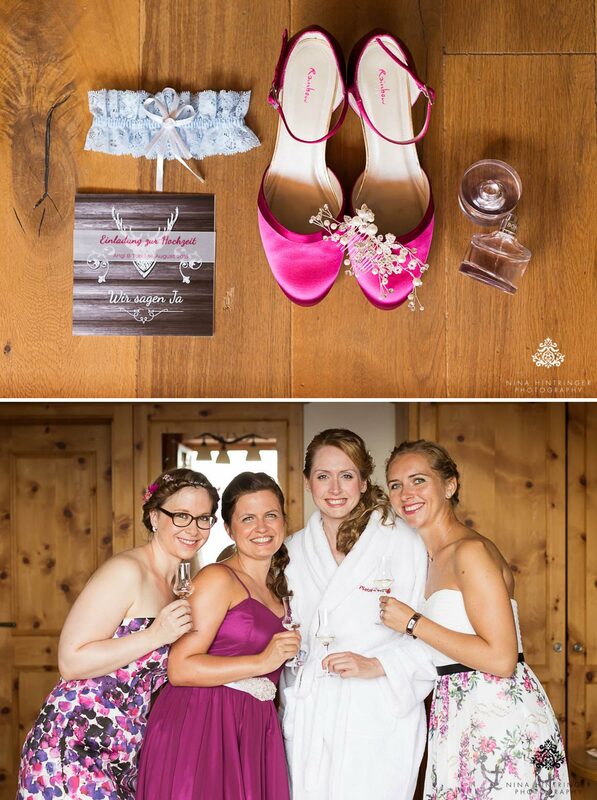 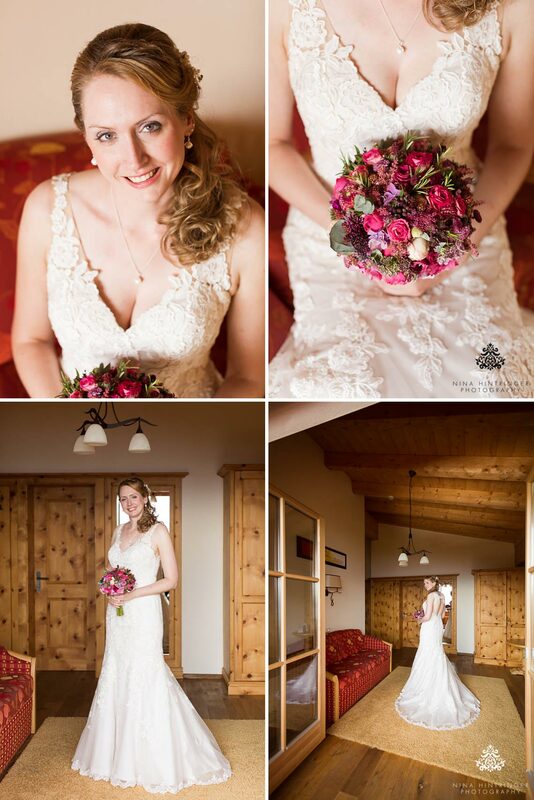 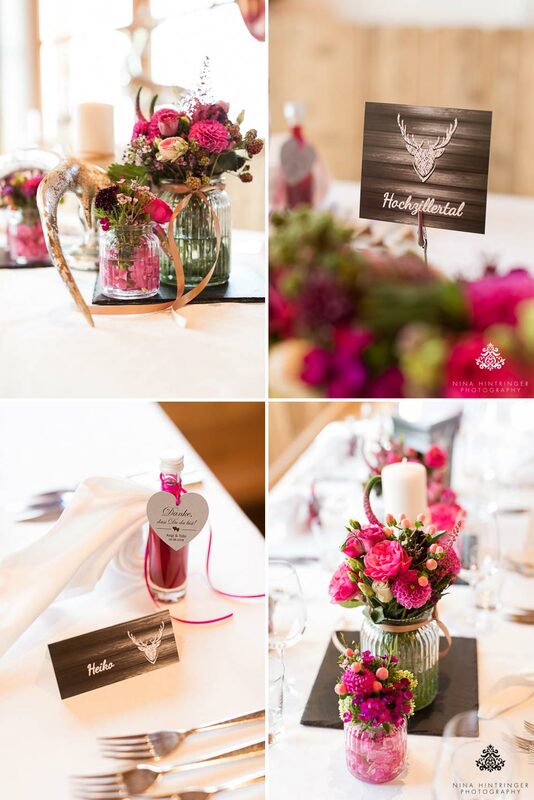 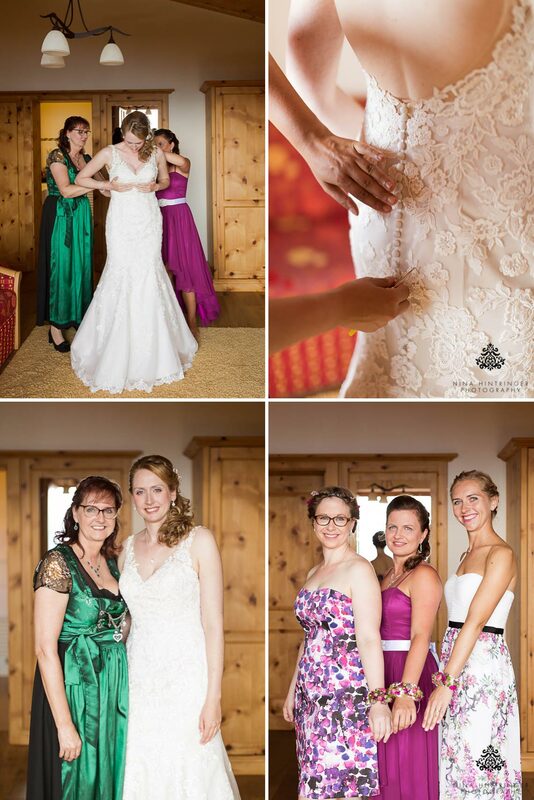 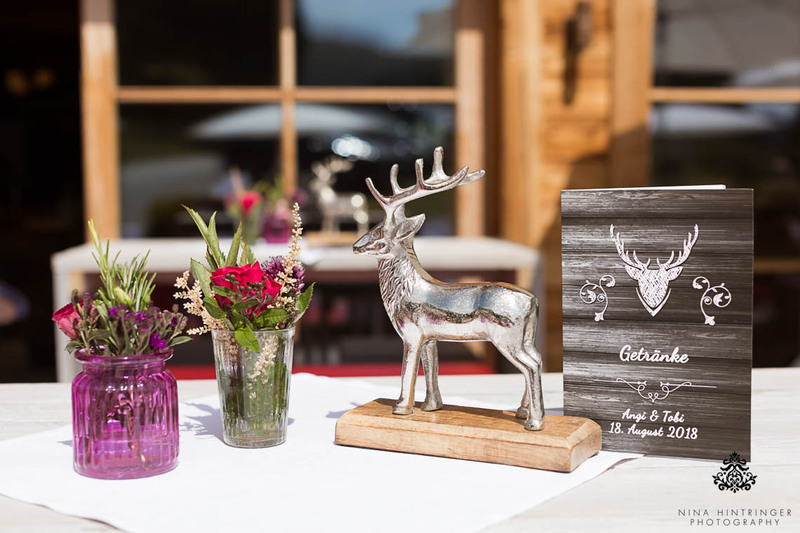 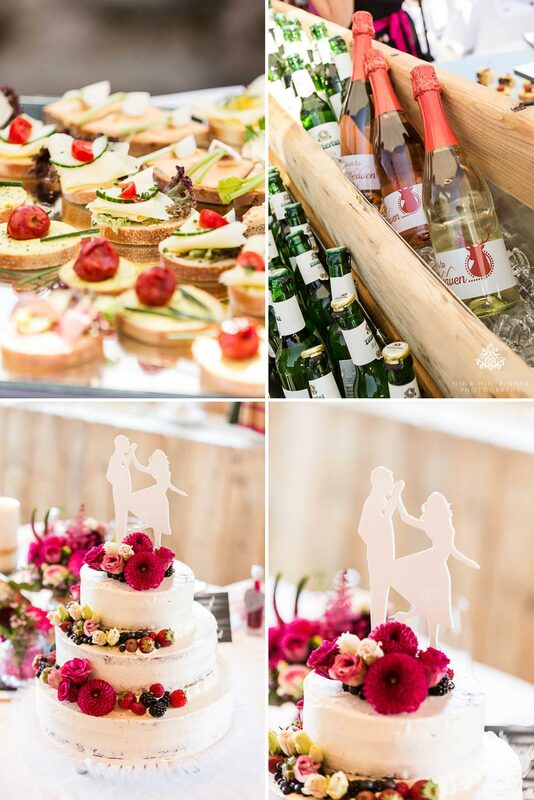 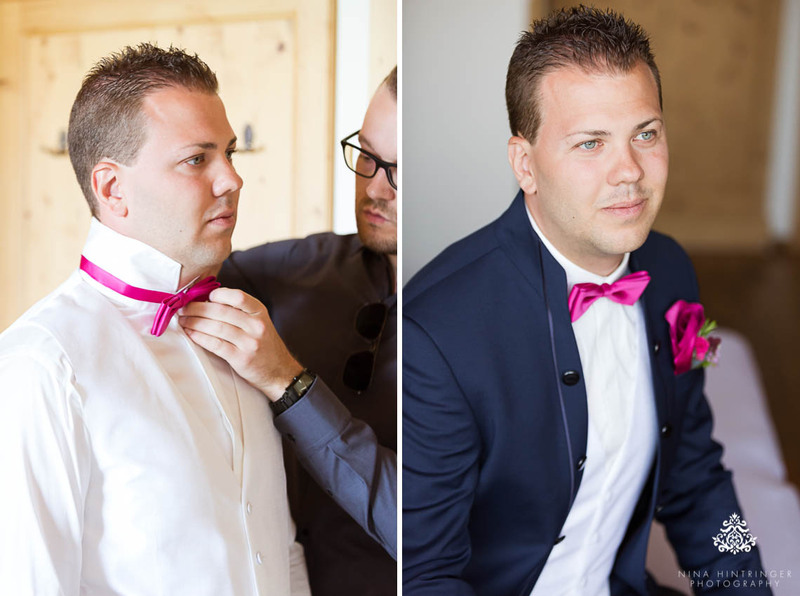 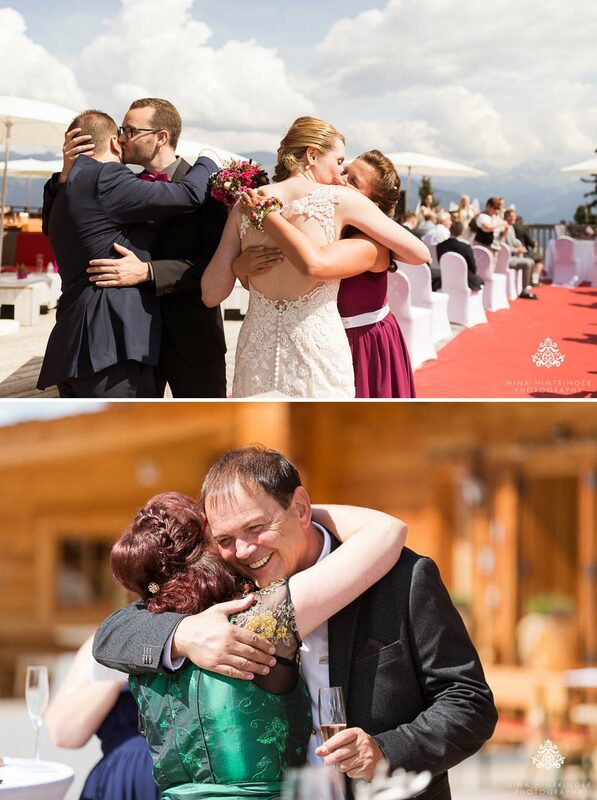 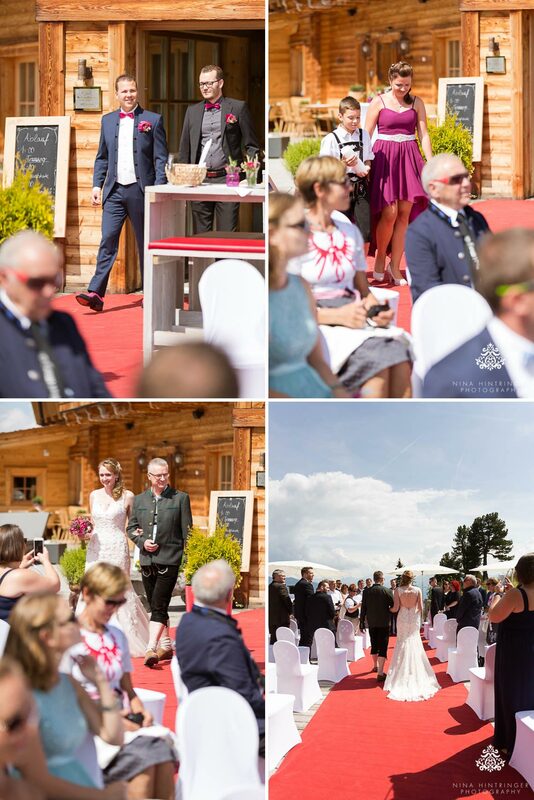 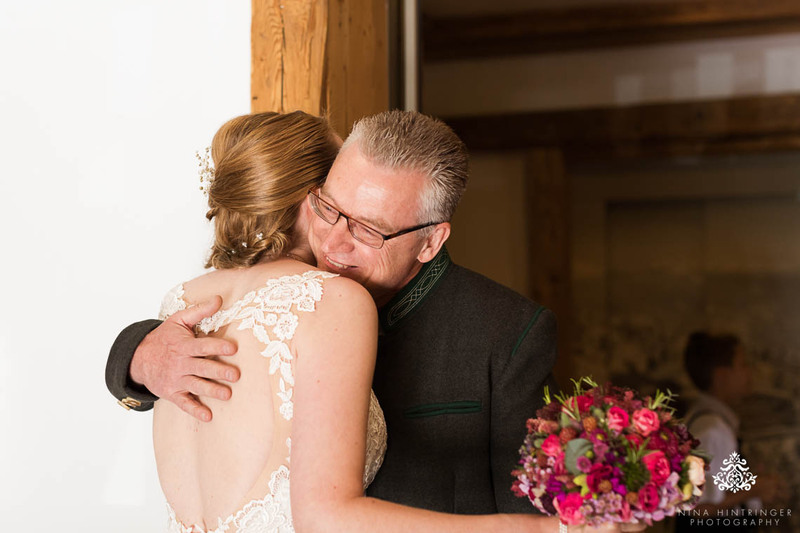 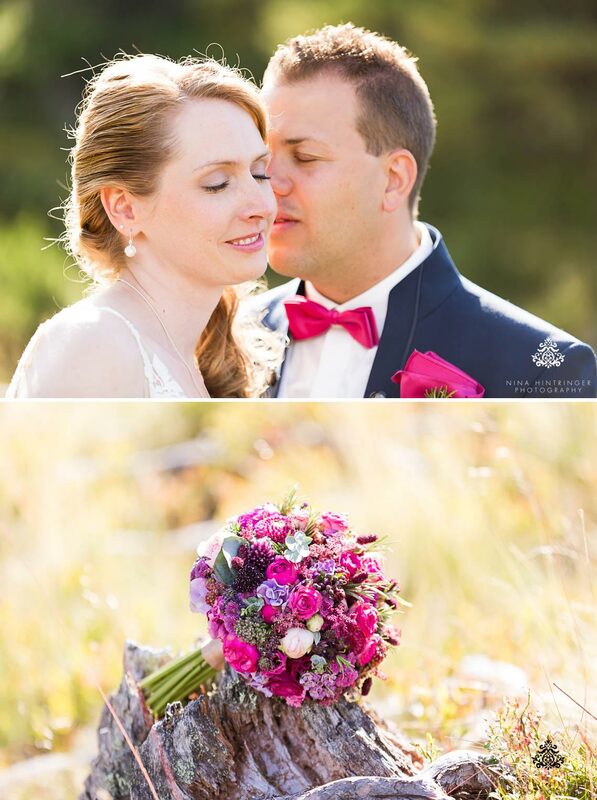 Engelsgleich did an amazing job and they were a huge surprise for their guests and Susan, head of the Hochzeitsredner Tirol Team, created a wonderful wedding ceremony. 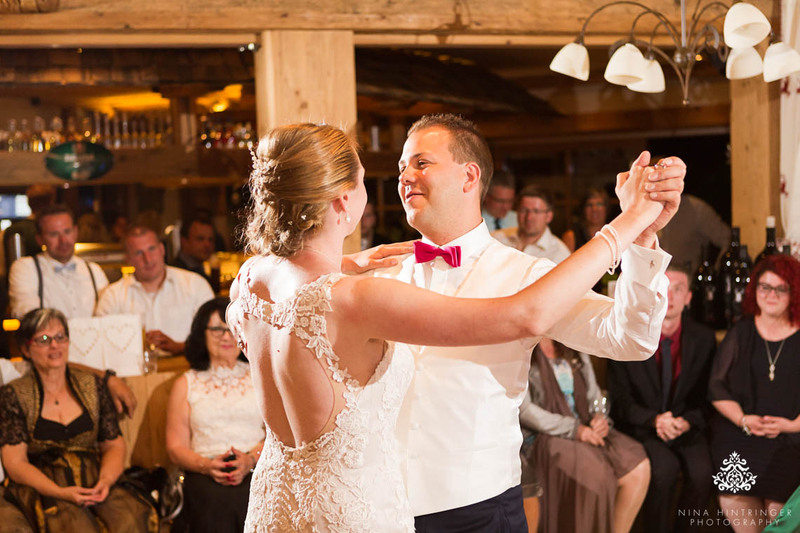 Angelina and Tobias first met when attending a dance class and dancing is still a big hobby for them, so they decorated their wedding cake with a matching cake topper. 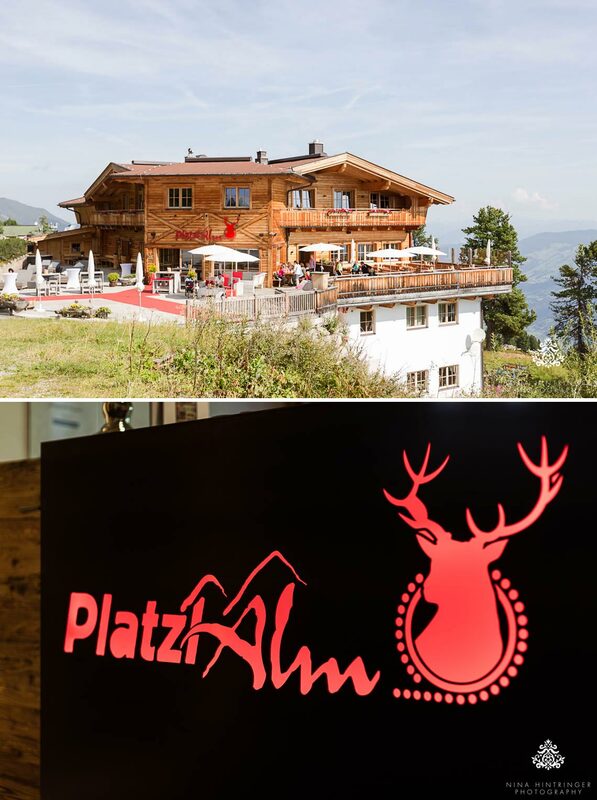 Thanks to the Platzlalm hosts Eva and Martin, you are really warm-hearted and hospitable, it was a pleasure to work with you and the food was amazing! 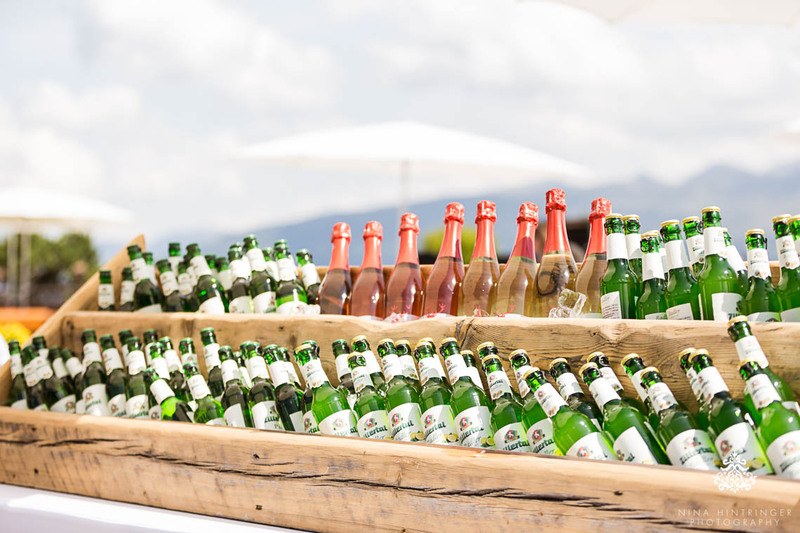 Not just eye-candy, also a taste sensation. 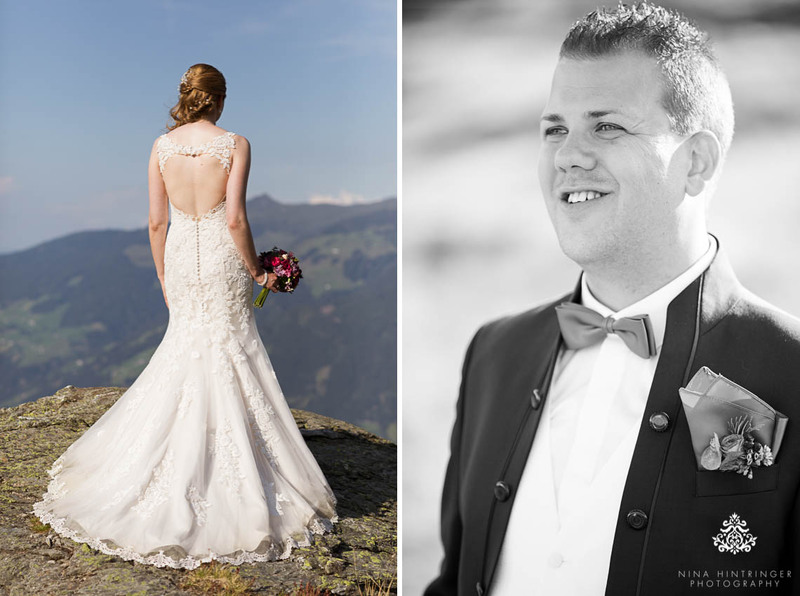 Angi and Tobi, thanks again for your trust, it was a pleasure to document your wonderful day and we wish you all the best for your future as husband and wife.